The unheard history of how race and racism are constructed from sound and maintained through the listening ear. Race is a visual phenomenon, the ability to see "difference." At least that is what conventional wisdom has lead us to believe. Yet, The Sonic Color Line argues that American ideologies of white supremacy are just as dependent on what we hear--voices, musical taste, volume--as they are on skin color or hair texture. Reinforcing compelling new ideas about the relationship between race and sound with meticulous historical research, Jennifer Lynn Stoever helps us to better understand how sound and listening not only register the racial politics of our world, but actively produce them. Through analysis of the historical traces of sounds of African American performers, Stoever reveals a host of racialized aural representations operating at the level of the unseen--the sonic color line--and exposes the racialized listening practices she figures as "the listening ear." Using an innovative multimedia archive spanning 100 years of American history (1845-1945) and several artistic genres--the slave narrative, opera, the novel, so-called "dialect stories," folk and blues, early sound cinema, and radio drama--The Sonic Color Line explores how black thinkers conceived the cultural politics of listening at work during slavery, Reconstruction, and Jim Crow. By amplifying Harriet Jacobs, Frederick Douglass, Elizabeth Taylor Greenfield, Charles Chesnutt, The Fisk Jubilee Singers, Ann Petry, W.E.B. Du Bois, and Lena Horne as agents and theorists of sound, Stoever provides a new perspective on key canonical works in African American literary history. In the process, she radically revises the established historiography of sound studies. 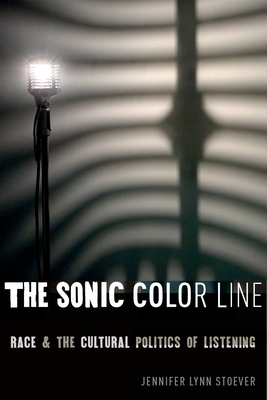 The Sonic Color Line sounds out how Americans have created, heard, and resisted "race," so that we may hear our contemporary world differently.